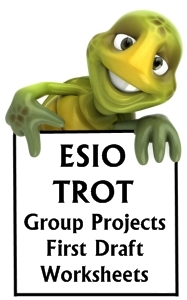 4 Esio Trot projects that are found on this page. Esio Trot, written by Roald Dahl and illustrated by Quentin Blake, is a sweet story about an elderly man who has a secret crush on his neighbor, Mrs. Silver. 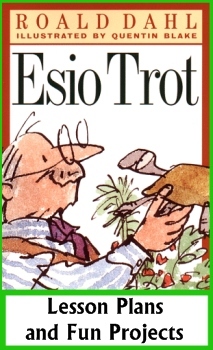 Esio Trot is tortoise spelled backwards and Roald Dahl uses many words spelled backwards throughout his classic love story about a man, a woman, and her pet tortoise. The main character is Mr. Hoppy and he is in love with the woman who lives in the apartment beneath him, but he is too shy to tell her. Mrs. Silver is devoted to her pet tortoise and she is concerned because Alfie is not growing any bigger. Mr. Hoppy is desperate to make a favorable impression on Mrs. Silver. One day, Mr. Hoppy is struck with a brilliant idea as to how he can win Mrs. Silver's attention and love, but he's going to need a lot of tortoises to pull off his clever plan! Mr. Hoppy informs Mrs. Silver that, "Tortoises are very backward creatures. Therefore they can only understand words that are written backwards." 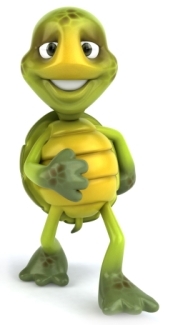 He concocts a clever scheme to encourage Mrs. Silver to say "magical backwards" words to Alfie each day in hopes that this will help her tortoise to grow bigger. At a pet store, Mr. Hoppy buys over 140 tortoises of different sizes. Mr. Hoppy finds a way to make it appear that Alfie is slowly growing larger by swapping him for increasingly larger tortoises. Each week he replaces a tortoise with one that is slightly bigger. When Alfie appears to be growing bigger, Mrs. Silver is convinced that the magical words work, and Mr. Hoppy wins the love of his sweetheart. At the end of this gentle tale about two elderly people who fall in love, Mr. Hoppy and Mrs. Silver get married and live happily ever after. I recommend reading this short chapter book aloud to your students. They will laugh with delight as they hear you read the magical backwards tortoise words that Roald Dahl has concocted for this humorous book. Your students will cheer at the end of this cute romantic senior love story when Mrs. Silver agrees to marry Mr. Hoppy. 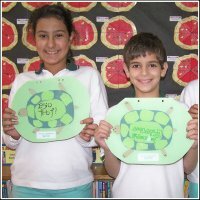 Have students write their names backwards and make signs or badges with their names written in tortoise language. For the rest of the day, students have to call each other by their backwards tortoise names. 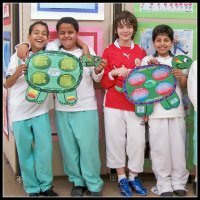 Link your language arts and science curriculums together by having your students complete a tortoise research project. 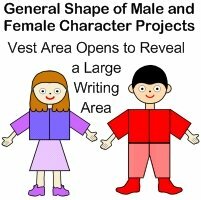 Have your students write a Yrammus (summary) about the book. Students can write an acrostic poem about the book using the letters E.S.I.O. T.R.O.T. 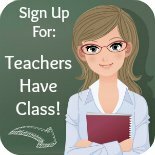 Except for the classes that are taught by other teachers (example: PE or music), arrange your school day backwards. If you normally begin the day with a language arts lesson, end the day with a language arts lesson. Pretend to take attendance at the very end of the day. Think of other fun activities that you can do backwards during the school day. 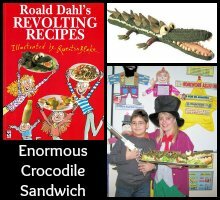 My students love completing the fun projects that I have created specifically for this book, which you can find below. 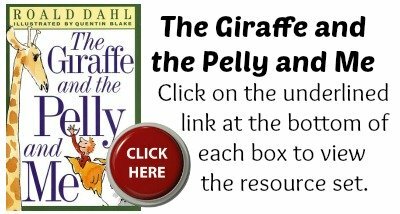 Although Esio Trot may appear at first to be for younger elementary school students, I have read this story to my Grade 5 students numerous times and used the projects found on this page with upper elementary school students with great success. is on September 13, Roald Dahl's birthday! 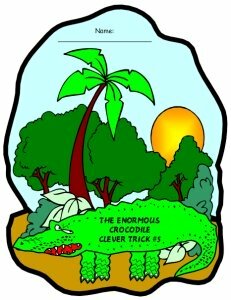 All of the Esio Trot teaching resources on this page include a second version of each resource that contains British spelling rules (colour instead of color, favourite instead of favorite, etc). Below you will find some of the Esio Trot lesson plans that I have developed over the years as I have read this book to my students on Roald Dahl's birthday, or during an author study that focuses on this scrumdiddlyumptious writer! 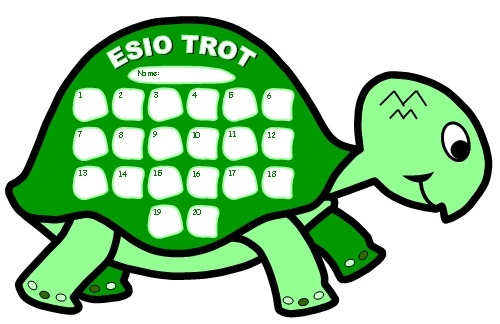 This five page banner is included for free in this set of Esio Trot lesson plans. 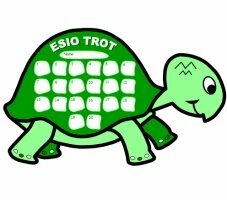 You will be emailed a download link for this ESIO TROT project so you can download and use it today! My students have enjoyed completing this extra large Esio Trot project with the members of their group. 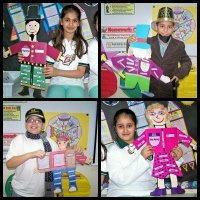 For this cooperative group project, students work together to describe the two main characters, the problem, and the solution of the story. There is an area on the tortoise templates for students to draw a picture of Alfie. I believe that it is important for students to go through the steps of the writing process. 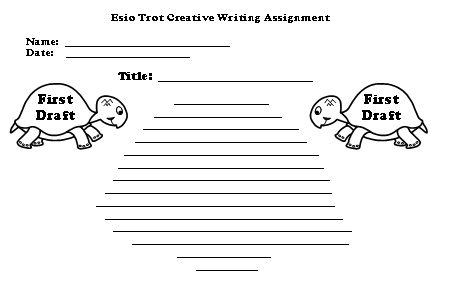 For this reason, my students never begin their Esio Trot group projects by writing on their final draft tortoise templates, instead they write on first draft worksheets. 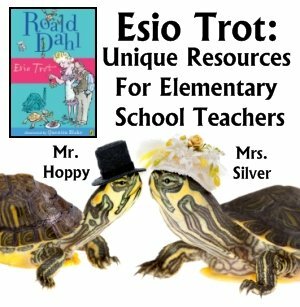 This set of Esio Trot teaching resources contains 2 first draft worksheets. On these first draft worksheets, I have designed the writing line spaces to match the spaces on the final draft tortoise templates. My students love completing this fun Esio Trot group project together! This Esio Trot group project requires a lot of green coloring materials to complete these extra large tortoise projects. A few days before my students begin working on their final draft tortoise templates, I assign a homework assignment, or an extra credit task, of bringing in green coloring pencils and markers. By having my students bring in some of these materials from home, it helps to not dwindle down all of the green coloring materials that I have in my classroom. Students also enjoy bringing in green glitter to help them put some sparkly touches on their Esio Trot group projects. 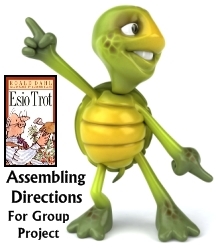 This set of Esio Trot teaching resources includes step by step directions on how to assemble the 7 project templates into a large tortoise. 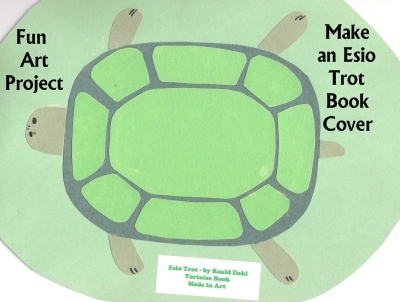 Depending on the age of your students, you could assemble these tortoise projects ahead of time for your students. Each tortoise takes me around 10 minutes to assemble myself. 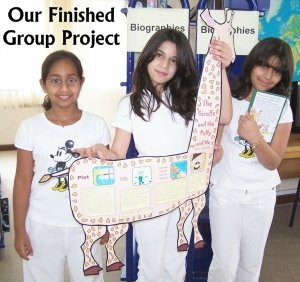 Older students are able to assemble this large group project on their own. 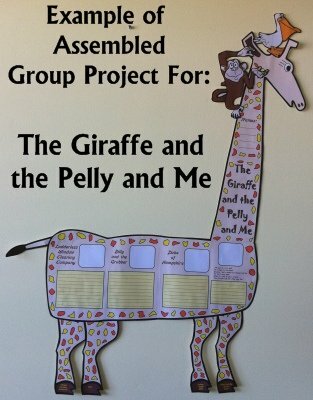 I have given my Grade 5 students the assembling directions workshees (shown below), and they were able to assemble these large tortoise projects themselves. 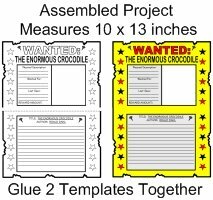 Below are examples of the assembling directions worksheets. 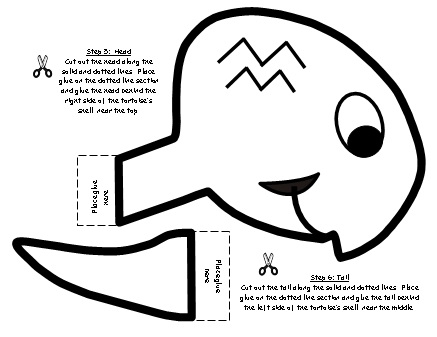 tortoise templates that show students where to cut and glue. 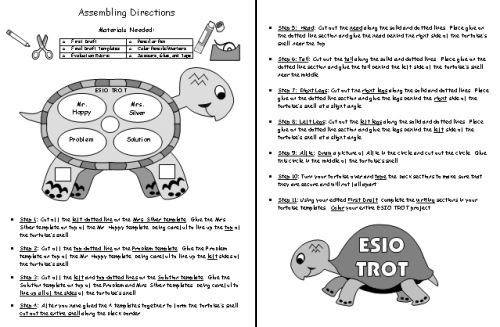 Example of assembling directions printed on the tortoise template worksheets. Above: Example of updated version of Esio Trot group project. 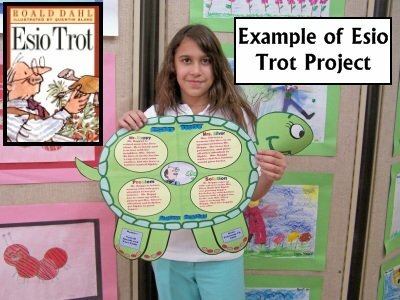 Students should proofread and edit their first drafts together before they begin working on their final draft tortoise projects. 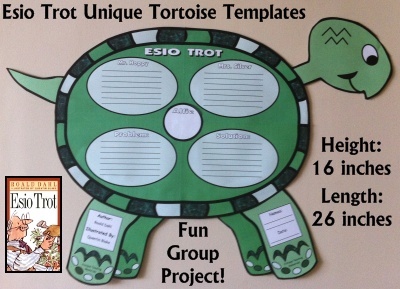 This unique and fun Esio Trot group project includes 7 printable worksheets with templates that assemble into a large tortoise. When the project has been assembled, the finished tortoise measures 37 inches in width and 12 inches in height. 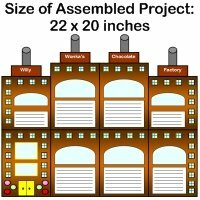 Your students will love working on this large project together and these finished Esio Trot group projects will make a dynamic and eye catching classroom or hallway display. Below are examples of the 7 tortoise templates. 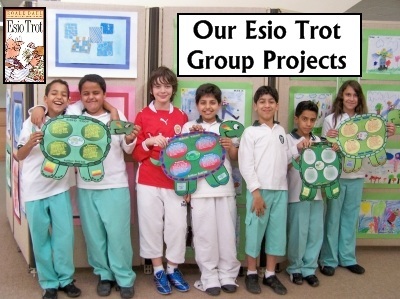 Below are larger examples of these Esio Trot group project templates. 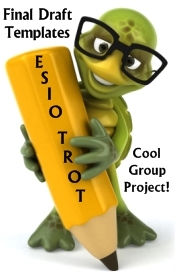 After your students have completed their group projects, they can evaluate their projects using the group project grading rubric that is provided in this set of Esio Trot lesson plans. 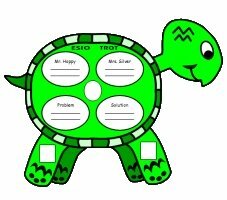 To save you time in coloring the project that you show to your students at the beginning of this assignment, I have included color tortoise templates for you to use so that you do not have to color these templates yourself. 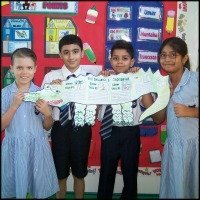 If you have access to a laminating machine, you can laminate your banner so that it is durable and you can use it year after year for bulletin board displays of your students' Esio Trot group projects. for free in this set of Esio Trot lesson plans. your bulletin board display of your students' finished group projects. that Mrs. Silver says to help her tortoise grow. sizes and weeks written on them just like they are in the book. 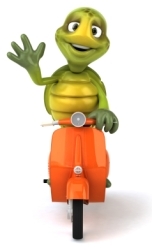 which has been spelled backwards in "tortoise language." 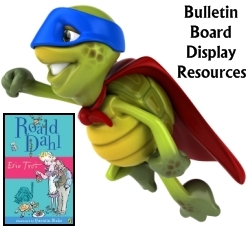 Are you looking for a tortoise shaped writing template that will help you create an eye catching bulletin board display based on Roald Dahl's book? 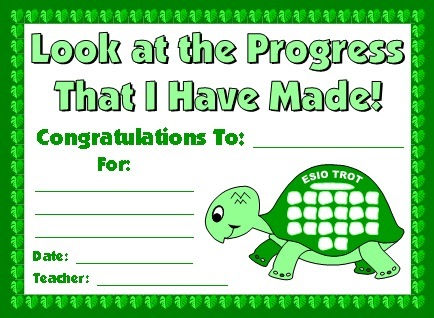 These cute Esio Trot creative writing templates measure 9 x 5.5 inches. There are 3 templates that are stapled together to form a flip up book. 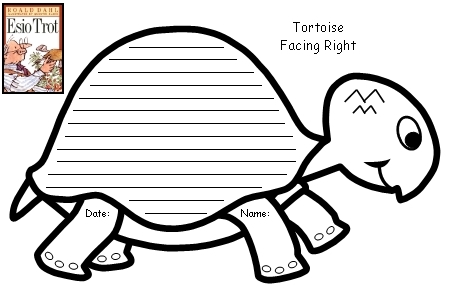 These tortoise templates would be ideal to use for writing a summary about the book, writing a poem, or completing a science research project about tortoises. For creative writing assignments, I believe that it is important for students to go through the steps of the writing process. For this reason, my students never begin their creative writing assignments by writing on their final draft templates, instead they write on first draft worksheets. 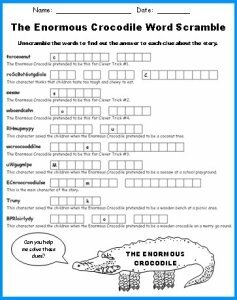 Below is an example of the first draft writing worksheet that is included in this set of Esio Trot lesson plans. The writing lines and spaces on the first draft worksheet match the lines and spaces on the final draft tortoise templates. If you want to make this a longer writing assignment, give your students two copies of this worksheet. When students are completing their final drafts, you would also give your students the additional middle writing template that is shown later on this page. 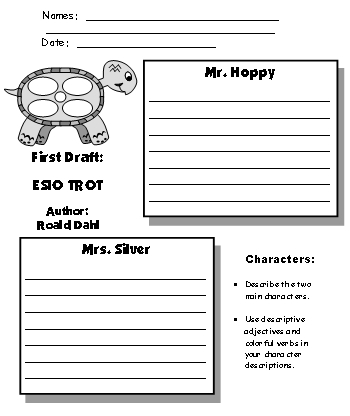 After students have edited and revised their first drafts, you should give them their final draft tortoise templates. 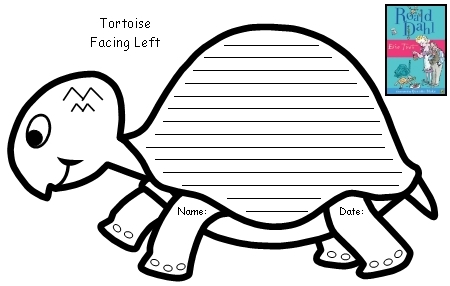 This set of teaching resources includes final draft tortoises templates that face both left and right. I suggest that you give half of your students tortoises facing left and the other half of your students right templates. 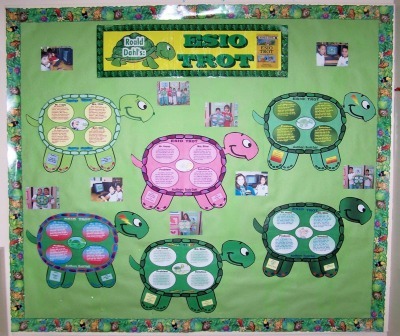 By having tortoises that are facing in both directions, you will be able to add more variety to your bulletin board display of your students' Esio Trot creative writing assignments. 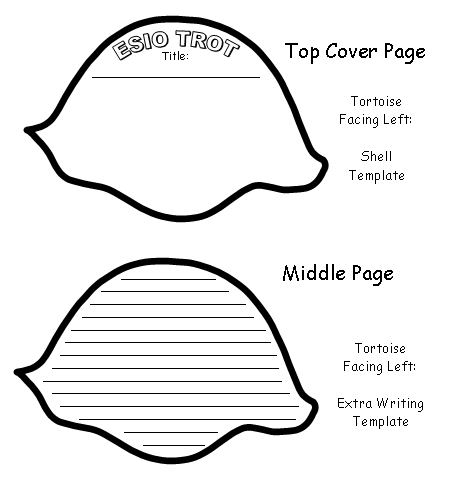 Cover Template: Students write the title of their writing assignment and then draw a picture on this shell template. 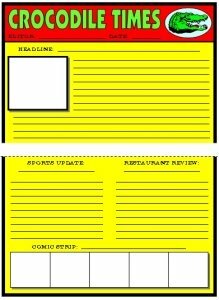 Middle Writing Template: This template is optional and can be used if you want this to be a longer writing assignment. 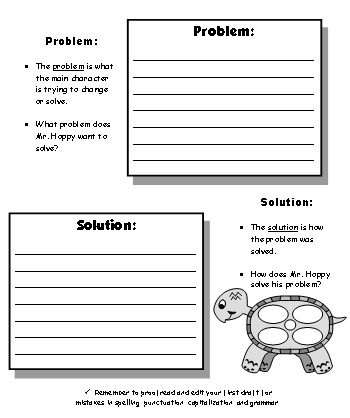 Tortoise Template: Students staple the cover (and the middle section for longer writing assignments) to this template to make their flip up books. 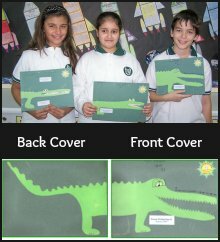 These tortoise templates contain thick black borders, which makes it easy for students to cut out and assemble their flip up books themselves. Staple pages together at the top to form a flip up book. Example of right tortoise template. When I am introducing this writing assigment to my students, I like to begin by sharing my own example with my students. At the front of my classroom, I display an example of what the final draft tortoise flip book looks like. 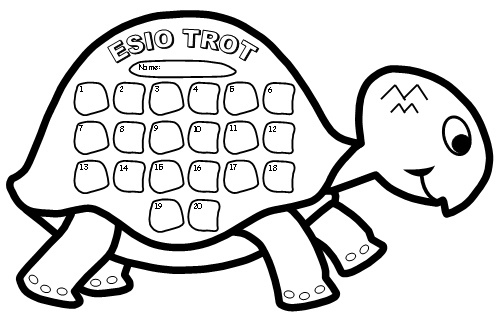 I have included color tortoise templates for you to use as visual examples to show your students so that you don't have to spend time coloring these Esio Trot templates yourself. The cover page has not been colored green because a picture needs to be drawn and colored in this area. 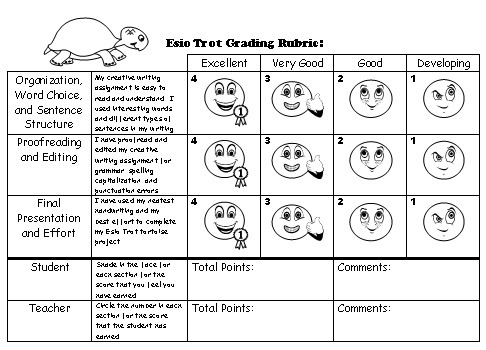 A grading rubric is included in this set of Esio Trot teaching resources. I believe that it is important for students to evaluate their own work, so my grading rubric contains an assessment section for both students and teachers. 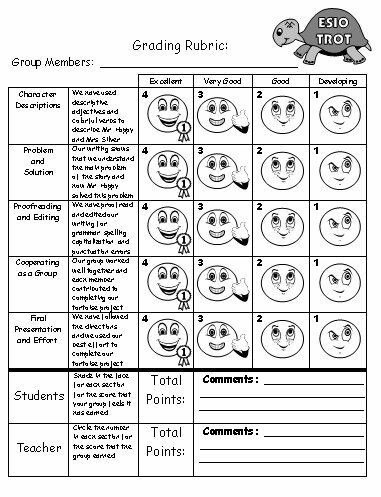 When students evaluate their assignments, they color in the faces on their grading rubric worksheets. When the teacher evaluates the assignments, the teacher circles the small numbers inside each box on the printable worksheets. Below is an example of the grading rubric. 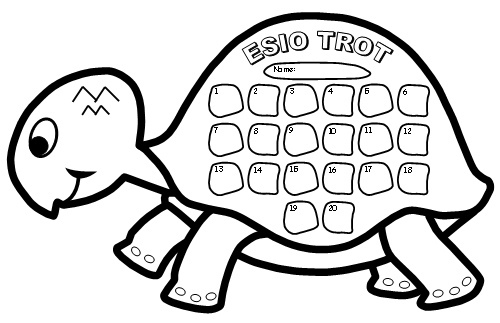 The above five page banner is included for free in this set of Esio Trot lesson plans. This banner says SUPER WORK, which has been spelled backwards in "tortoise language." 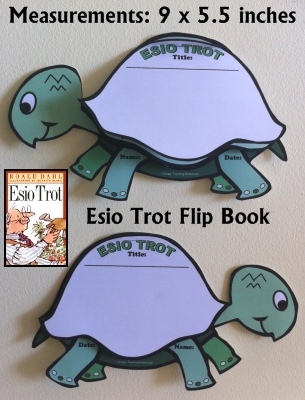 To help you decorate your bulletin board display with a tortoise theme, I have included tortoise accent pieces in this set of Esio Trot teaching resources. These accent pieces include 3 different shades of green tortoises, in a variety of different sizes, facing both left and right. There are three phrases written on these tortoises (SUPER WORK, GOOD JOB, and WELL DONE) and there is a second copy of each tortoise with these phrases written backwards. Below are examples of some of these tortoise accent pieces. 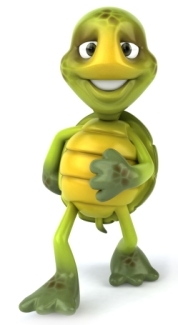 Below: There are 3 smaller tortoises included in this set of teaching resources. 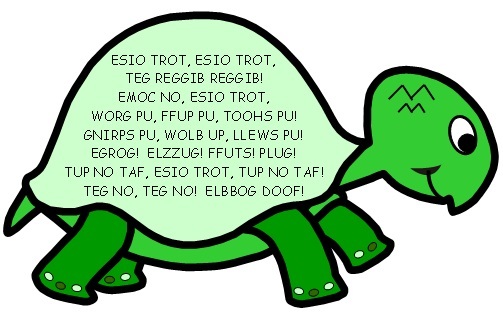 The smaller tortoises with the phrases written backwards are not shown below. 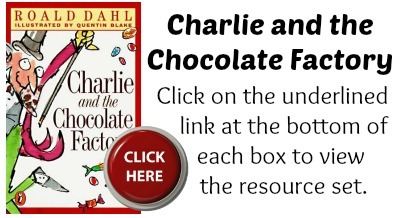 How often do you find a unique sticker chart set of teaching resources that is based on a Roald Dahl book that you just read to your students? 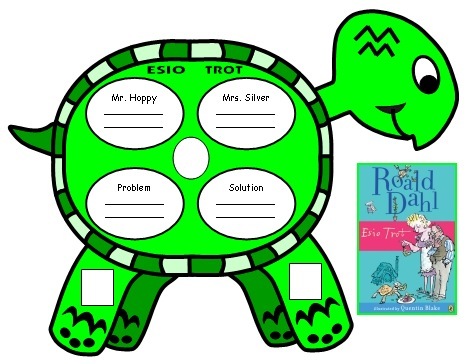 Although these tortoise shaped sticker charts can be used for a variety of different purposes, I like to use them to encourage my students to read books on their own. 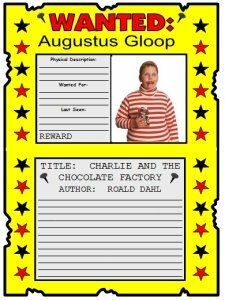 After I read this Roald Dahl book aloud to my students, I give each of my students an Esio Trot sticker chart. 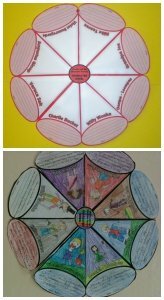 Students place stickers on their charts each time that they finish reading a book and I use these incentive charts to help encourage and promote reading in my classroom. 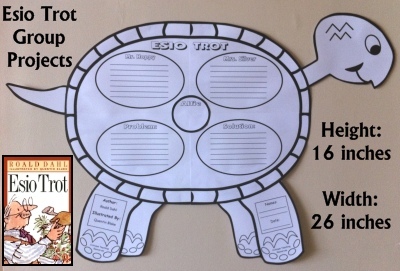 Besides reading, you can also use these tortoise shaped sticker chart templates to record homework, behavior, classwork, good citizenship, math, spelling, or any other goal that you want your students to achieve. 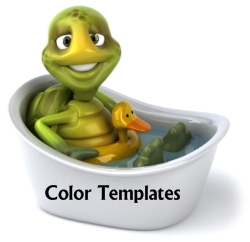 There are 20 sticker boxes on these tortoise templates. I have designed the boxes inside the sticker charts to fit the standard small stickers that many teachers use. If you do not have these small stickers, you can draw a smiley face or place a check mark inside each box. 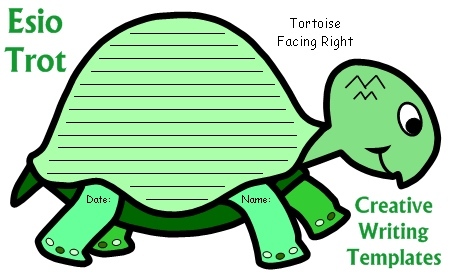 These turtle sticker charts measure 10 inches in width and 6 inches in height. 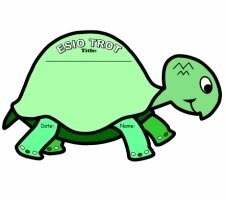 I have designed tortoises facing both left and right, so that there will be more variety in your classroom bulletin board display of your students' Esio Trot sticker charts. 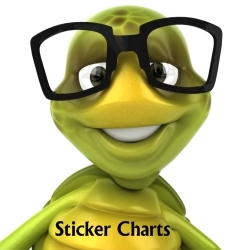 Below are examples of the color tortoise sticker chart templates. 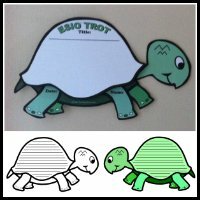 Below are examples of the black and white tortoise sticker chart templates. 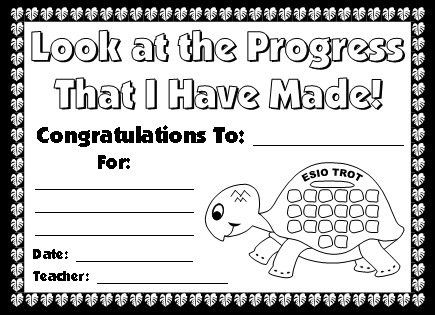 These Esio Trot sticker charts are a wonderful way to positively reinforce your students for making progress towards their goals. I have designed a matching student award certificate that you can present to your students when they have reached their goal. This set of teaching resources includes color and black and white copies of the award certificate for you to choose from. 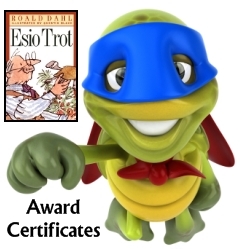 Your students will be excited to take their completed Esio Trot sticker charts home with them, along with their matching award certificate. 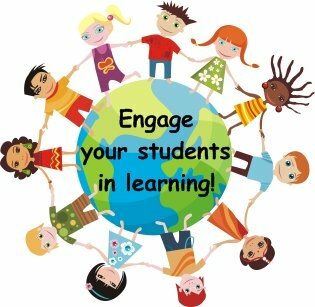 Parents will be impressed with the extra effort that you have put forth in positively reinforcing and encouraging your students to reach a goal that you have set for them. that is included for free in this set of Esio Trot lesson plans. 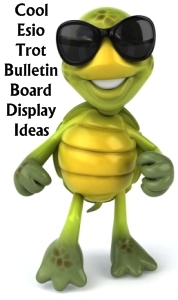 To help you decorate your bulletin board with a tortoise theme, I have included turtle accent pieces for you to use in preparing your classroom bulletin board display. With each small step, we are making PROGRESS! We are charting our progress! 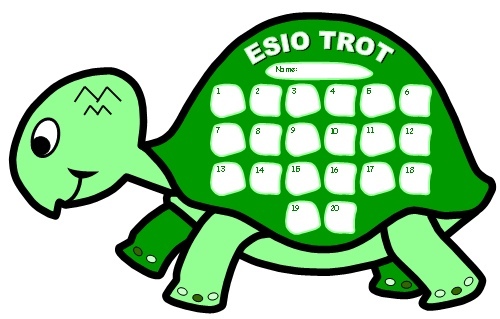 This set of teaching resources also includes 18 different sizes of tortoises for you to use as additional accent pieces to help you decorate your Esio Trot bulletin board display. 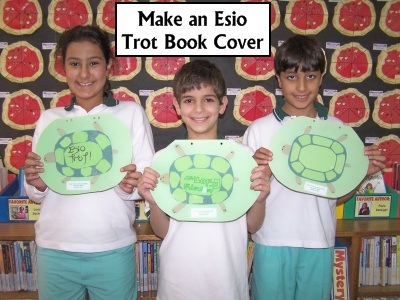 Make an Esio Trot Book Cover! 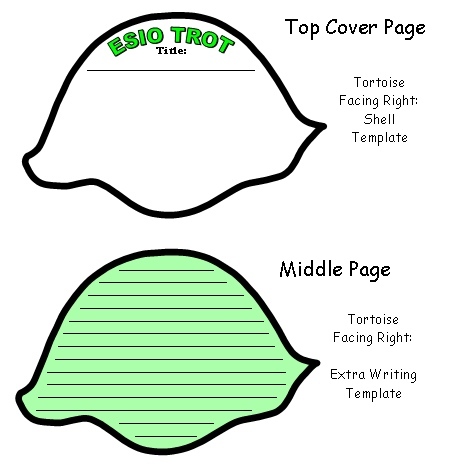 Below are some ideas for materials that you can use to make an Esio Trot book cover. I staple my students' Esio Trot stories inside these fun oval shaped book covers that they enjoy designing. 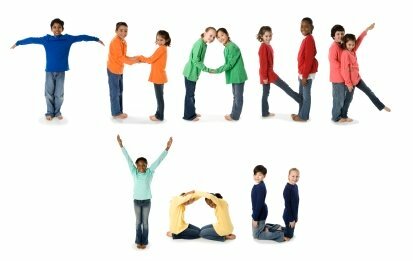 Thank you for visiting my Esio Trot lesson plans page.